Despite the FBI recording an all-time high in hate-motivated incidents in 2017 (the most recent year’s statistics available) the number is likely much higher. Low reporting from victims to police and inconsistent reporting from police to federal authorities have created a massive gap in how we understand hate in America. Researchers from the University of Utah want to fill that gap with an app. For the past decade, cybersecurity threats have moved from high in the software stack to progressively lower levels of the computational hierarchy, working their way towards the underlying hardware. The rise of the Internet of Things (IoT) has driven the creation of a rapidly growing number of accessible devices and a multitude of complex chip designs needed to enable them. A new DARP program focuses on addressing the economic and technical challenges associated with incorporating scalable defense mechanisms into chip designs. Online voting is often considered a way to improve voter turnout and security. But according to one expert, computer scientists have got a long way to go before they make it a viable alternative to pencils and paper. Markus Frohnmaier, an MP for the far-right, populist AfD party, could be controlled by Russia, several European media outlets have reported. Frohnmaier has publicly sided with Moscow on practically each and every issue important to Vladimir Putin. The investigative report – the result of a joint effort by several leading European news organizations – concluded that Frohnmaier “stands under the influence of Moscow” and that his political and legislative actions aim to further Russia’s strategic interests. New report urges NATO members to look to emulate Britain, which created an entire government office to scrutinize Huawei’s products for security problems. Kremlin-backed attackers are working to influence the upcoming European Parliament elections, according to cybersecurity firm FireEye. These new reports highlight rising fears of digital attacks on democracy around the world, including on the U.S. presidential elections in 2020. Russian interference in the West is not new. The experiences of Estonia – the first country ever victim to a clearly coordinated and politically motivated cyber operation – can inform American and European defenses to these complex threats. Hackers can access a patient’s 3-D medical scans to add or remove malignant lung cancer, and deceive both radiologists and artificial intelligence algorithms used to aid diagnosis, according to a new study. A consortium of U.K. cyber security experts is to support global businesses to tackle online threats and protect themselves from cybercrime. The Cyber Readiness for Boards project has been launched to explore the factors shaping U.K. board decisions around cyber risk and develop interventions to provide guidance and support. A flurry of seemingly disconnected actions by the U.S. government to curb the involvement of Chinese technology firms in the U.S. economy over the past year reflects the Trump administration’s intensifying concern that those firms could — now or in the future — abet espionage by Beijing’s intelligence services. The grid is changing as the big, centralized providers of the past are replaced by smaller, distributed suppliers. Keeping such complex networks running stable requires high-resolution sensor technology – AI provides a way to make accurate predictions and automatically detect any disturbances or anomalies in real time. 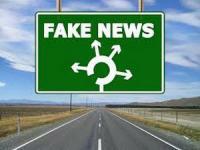 Studying April Fools hoax news stories could offer clues to spotting ‘fake news’ articles, new research reveals. Researchers interested in deception have compared the language used within written April Fools hoaxes and fake news stories. New study shows that when it comes to sharing emergency information during natural disasters, timing is everything. The study on Twitter use during hurricanes, floods and tornadoes offers potentially life-saving data about how information is disseminated in emergency situations, and by whom. Unlikely heroes often emerge in disasters, and the same is true on social media. A British oversight board has slammed the Chinese telecom giant Huawei for software security flaws. The report, however, stopped short of blaming Chinese intelligence agencies for the engineering defects. The United States is concerned that Huawei is a front for the Chinese intelligence services, and that rolling out Huawei’s 5G system in Europe would open the door for Chinese spying or sabotage. Just before his shooting spree at two Christchurch, New Zealand mosques, the alleged mass murderer posted a hate-filled manifesto on several file-sharing sites. Soon, the widespread adoption of artificial intelligence on platforms and decentralized tools like IPFS will mean that the online hate landscape will change. Combating online extremism in the future may be less about “meme wars” and user-banning, or “de-platforming,” and could instead look like the attack-and-defend, cat-and-mouse technical one-upsmanship that has defined the cybersecurity industry since the 1980s. No matter what technical challenges come up, one fact never changes: The world will always need more good, smart people working to counter hate than there are promoting it. White supremacists dramatically stepped up their propaganda efforts targeting neighborhoods and campuses in 2018, far exceeding any previous annual distribution count for the United States and showing how these extremist groups are finding ways to share hateful messages while hiding the identity of individual members. A study found that Russian trolls and bots have been spreading false information about vaccination, in support of the anti-vaccination movement. The false information was generated by propaganda and disinformation specialists at the Kremlin-affiliated, St. Petersburg-based IRA. The Kremlin employed IRA to conduct a broad social media disinformation campaign to sow discord and deepen divisions in the United States, and help Donald Trump win the 2016 presidential election. Quantum computers can in principle execute calculations that today are practically impossible for classical computers. Bringing quantum computers online and to market could one day enable advances in medical research, drug discovery, and other applications. But there’s a catch: If hackers also have access to quantum computers, they could potentially break through the powerful encryption schemes that currently protect data exchanged between devices. During the DNA synthesis process in a laboratory, recordings can be made of the subtle, telltale noises made by synthesis machines. And those captured sounds can be used to reverse-engineer valuable, custom-designed genetic materials used in pharmaceuticals, agriculture and other bioengineering fields.